As one of the founders of the Drupal community in the Netherlands, One Shoe has been involved with DrupalJam since the beginning. One Shoe is sponsor of the main Dutch conference on Drupal: DrupalJam 2018. Millions of websites and applications worldwide run on the popular content management framework Drupal. As one of the founders of the Drupal community in the Netherlands, One Shoe has been involved with DrupalJam since the beginning. 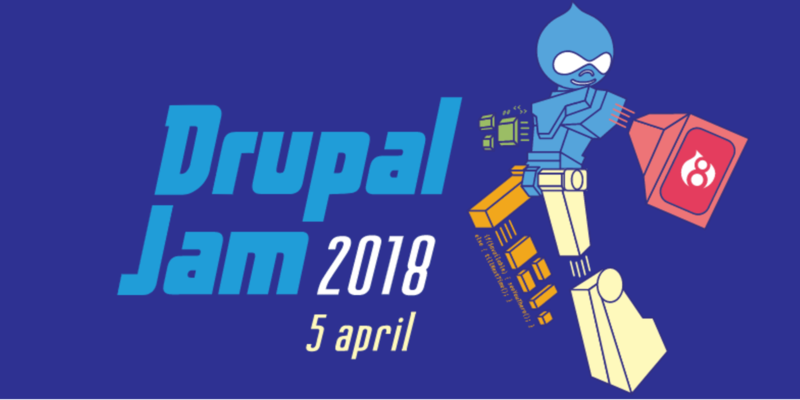 DrupalJam takes place on 5 April in De Fabrique, Utrecht. More than 400 Drupal professionals from the Netherlands and Belgium come together to share knowledge, cases and code in the field of Drupal. The program consists of four parallel tracks about design, Drupal, technology and online marketing. One Shoe will also give a presentation here. At One Shoe we create versatile online applications and we often use Drupal. Drupal has an open source character and is actively maintained by a worldwide community of developers. Together we guarantee the security, privacy, development and updates of Drupal. Sponsoring DrupalJam is one of the ways we invest in Drupal. In this way we stimulate collaboration, knowledge and information sharing with Drupal developers. On our Drupal Give page you can read more about our contributions to the Drupal community. Tickets for DrupalJam are available here, but be quick: the event is sold out every year.